BV P 251.02 German Tier 10. 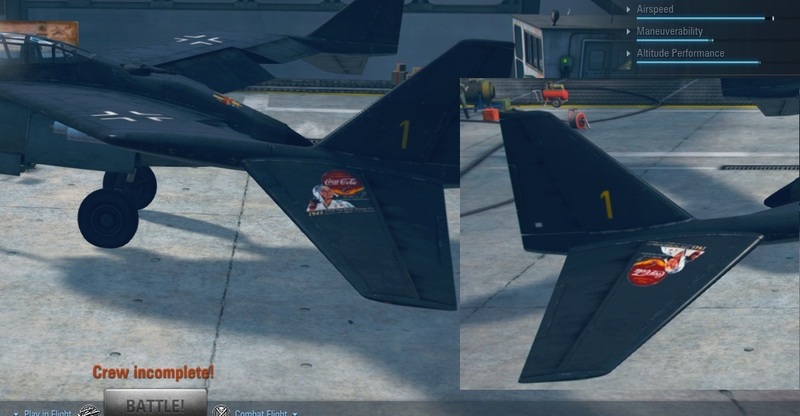 The clan logo is displayed OK on the left wing, but on the right one they forgot to add "rotate 180 degrees". FIX THIS GAME BREAKER IMMEDIATELY OR I'LL... nah, but when you do some graphic changes, have this in mind too. Added to the report but I cannot promise any changes in the near future. Edited by 0berhessen, 07 February 2019 - 08:13 AM. They went to canteen angry. "We won't fly until the paint guys correct the abomination!"